Home never felt so good and happy. When I walked up the stairs to the baby gate and peered around for Kaweah, she was lying in her dog bed probably thinking, “It’s that Jeremy guy… ho hum.” But when she saw it was me and I called her name, she jumped up and wagged furiously, pawing at the gate before I could even open it. Then she lunged at her stuffed toy hedgehog and shook it around violently (this is what she does when she’s excited) until I was able to put my bags down and give her a belly rub hello. I’ve got heaps of photos to sort through and will share them eventually, but there is other more urgent business at hand. 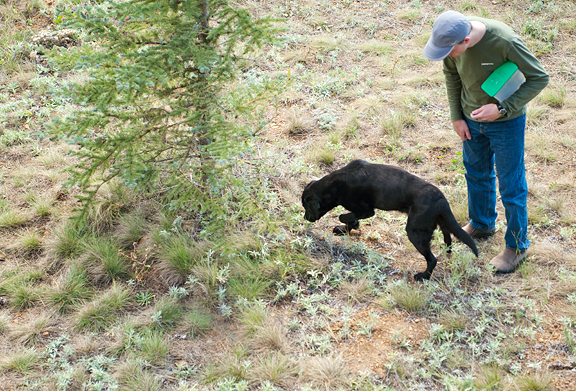 Like the business of choosing two winners of the Colorado care packages! So our winners are #23 Cathy and #295 Deb in Indiana!! Congratulations, ladies! I will be in touch with you to get your mailing addresses and your t-shirt choices and sizes. Also, a huge thanks to all of the commenters who entered the giveaway. Your interesting facts about you are not just interesting, but entertaining and touching and awesome. Thanks for sharing a part of you with me (and everyone else – no small feat there!) and thanks, as always, for being the best readers ever. Summer is over. September is done (in an hour). 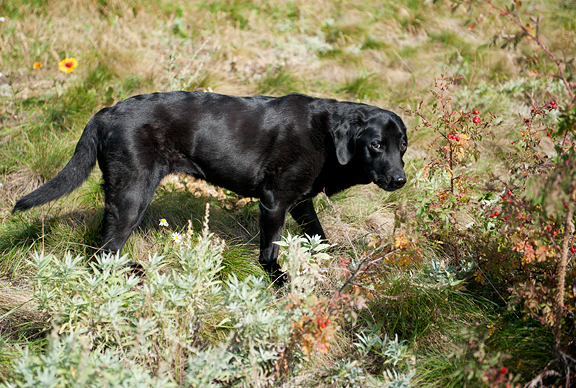 I think to myself that I will miss summer, until I remember that there is snow on the high peaks. This weekend while I unpacked and put my gear away, I made a note to myself to start transitioning our bins. Soon, the bike and hiking gear bins will be replaced with winter and ski gear bins. Now, when daylight fades, I marvel that I have more than a couple of hours before I should be getting to bed! And the sweet fruits of autumn are making their way into the markets next to the big fat orange pumpkins that signal the arrival of my favorite holiday, Halloween! How thrilled was I this weekend when I went to get groceries and wasn’t limited to things that fit in my cooler, or could be prepared by adding hot water? To really cook again in my own kitchen is a beautiful and happy feeling. I grabbed three varieties of apples and decided we’d have a little treat at the House of Butter. Apple fritters. If you walk into a doughnut shop and find apple fritters, they are usually a conglomerate of apple bits and dough and cinnamon and sugar. That’s not the kind of apple fritter I have in mind when I want apple fritters. I like mine to be heavy on the apple with a light batter. 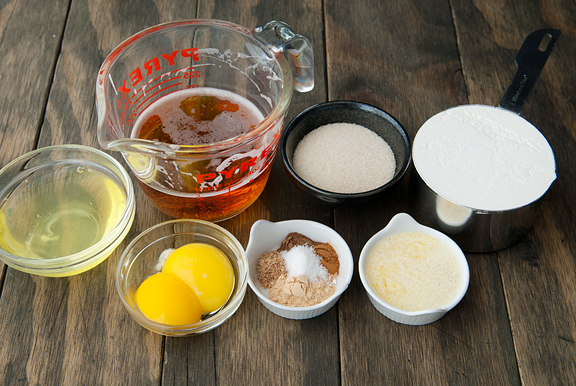 The recipe that caught my fancy was the one that called for beer in the batter, because even though I don’t drink beer, I love it in food – especially battered and fried food. You can slice your apples up however you like, but I wanted apple rings – thick, juicy, sweet apple rings that you can sink your teeth into. Just peel the apples and core them. 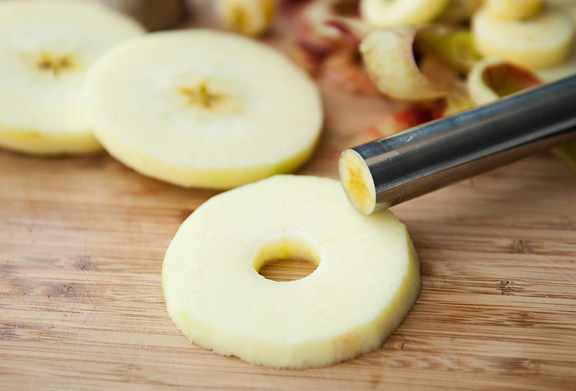 I don’t have an apple corer, so I sliced my peeled apples into 1/2-inch thick rings first, then I cut the core out with a cannoli dough ring. If the hole is too small, then the batter will fill it up when you fry it. You may or may not care, but I wanted rings, not disks. 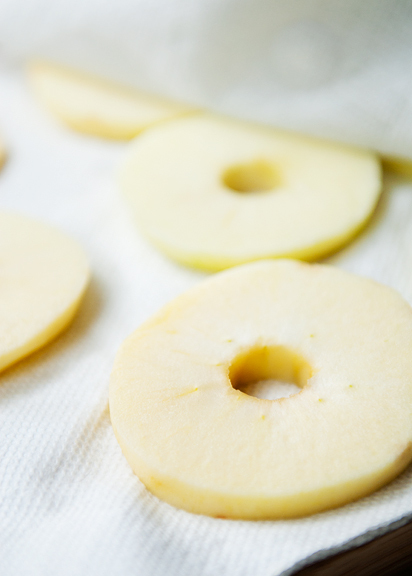 Set the apple slices on a couple of paper towels to absorb excess moisture. Place a few more layers on top and press down gently. 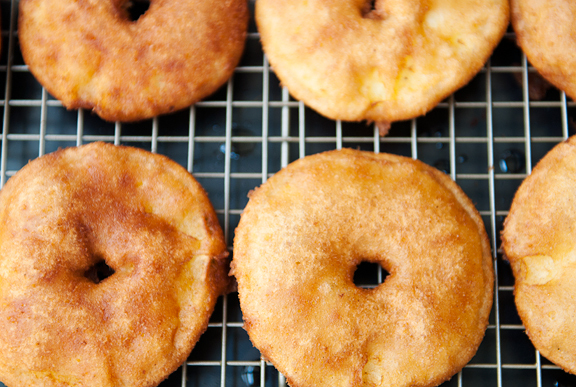 This results in a better fritter and will produce less splattering when you fry the rings. When the batter is done resting, whip the egg whites until they are just at stiff peaks. Try to avoid over whipping the whites. You’ll know when you’ve done that when the whites are no longer smooth, but clumpy. Fold the whites into the batter. I hate frying. You know this. But sooo many awesome foods are fried! One of the things that has helped me reduce my hatred of frying by a teensy tiny bit is having a candy thermometer. Monitoring (and maintaining) the temperature of your frying oil helps to give you consistent results. Another thing that helps avoid mishaps is getting your work station in order. Place the batter next to the frying oil. 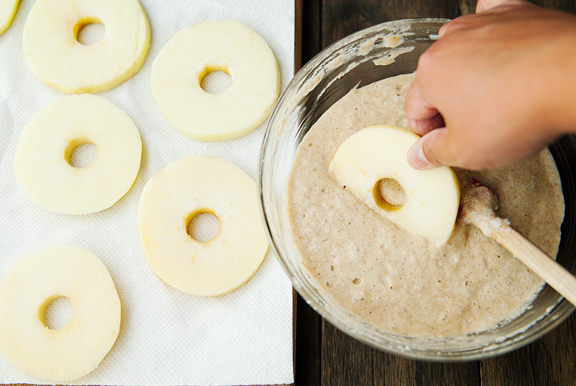 Set the fruit next to the batter. Have a baking sheet lined with paper towels or a cooling rack at the ready on the other side of the oil. Dip the fruit in the batter, place the ring in the oil. Flip when golden brown on one side. Remove when golden on the other side. Set on cooling rack or paper towels. Repeat. I prefer the cooling rack to the paper towels because it maintains the crispness of the fritter (or most fried things for that matter) better. If you are making a lot of fritters, keep them warm in a low temperature oven until you are ready to serve them. 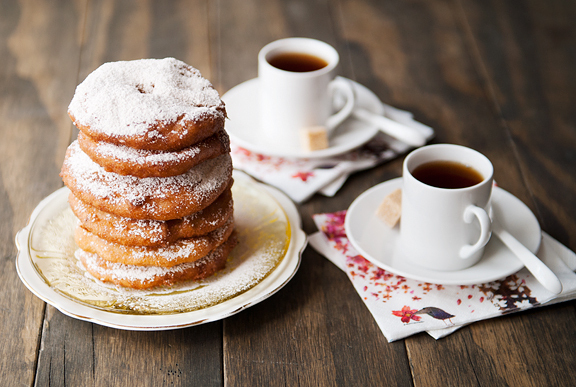 Dust the fritters with cinnamon powdered sugar (1 teaspoon of ground cinnamon and 1 cup of powdered sugar sifted together) right before serving. These fritters are a nice treat to bite into. I’ve read that you can use any apple you like for this. The Jonagolds have good tartness and sweetness with floral rose overtones. 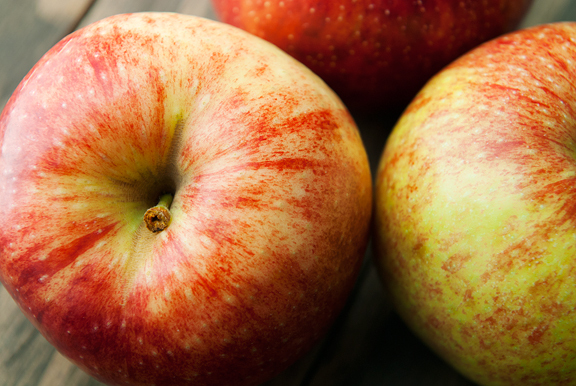 In fritter form, the apple slice turns juicy – a concentrated apple flavor and yielding texture (think apple pie). The fritter batter is light, crisp, and full of autumn spices – a perfect accompaniment to the fruit and sugar. Definitely eat them hot. 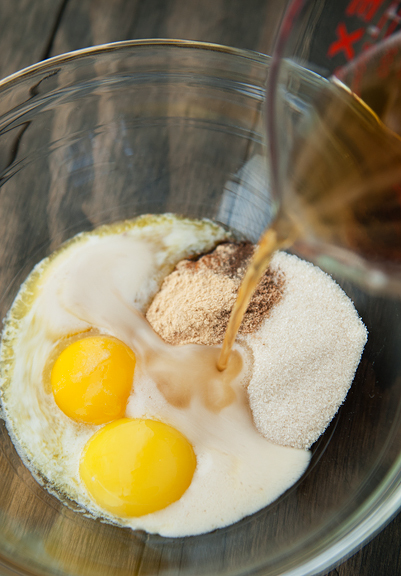 Whisk the beer, egg yolks, melted butter, sugar, ginger, cinnamon, nutmeg, allspice, and salt together in a medium bowl. 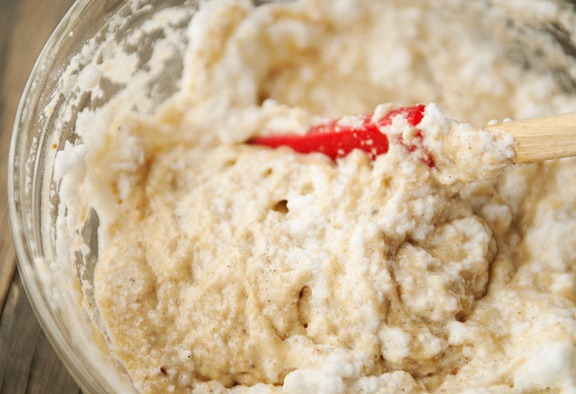 Whisk the flour in until just blended. Cover the bowl with a kitchen towel and let the batter sit for 30 minutes. Peel and core the apples, or if you don’t have a proper corer, just peel the apples. 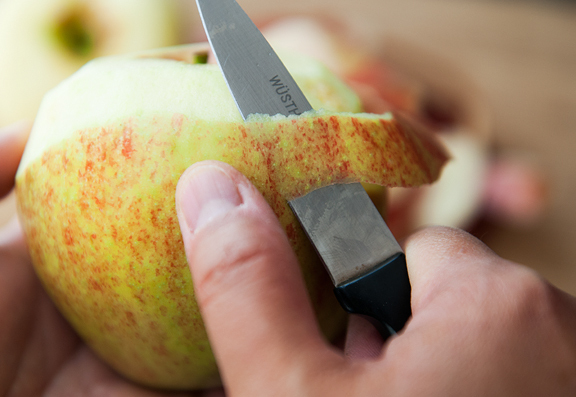 Slice the apples along latitudinal lines into 1/2-inch thick slices. If you don’t have a corer, now is when you can use a round cutter (I used a cannoli dough ring) to punch out the core of each slice. Set the slices on paper towels to drain excess moisture. Flip them over after a few minutes. Heat an inch of vegetable oil in a deep and wide pan or a deep-fat fryer to 365°F (a candy thermometer is really really handy here). 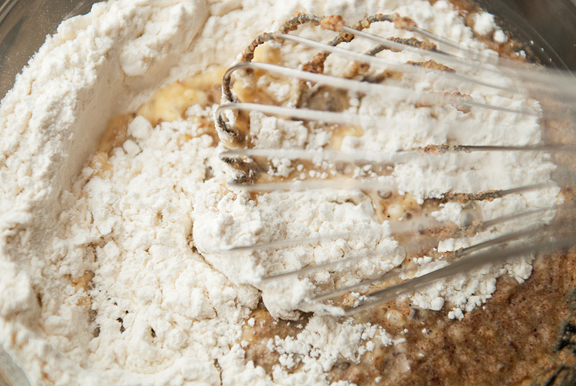 Beat the egg whites to stiff peaks (but not dry – dry is when it looks clumpy) and fold the whites into the batter. You can preheat your oven to 250°F for keeping the fritters warm as you will have to fry them in batches. Ready your workstation near the hot oil – have the fruit and batter nearby as well as a baking sheet lined with paper towels OR a baking sheet with a cooling rack on it (I prefer the cooling rack to avoid sogginess). 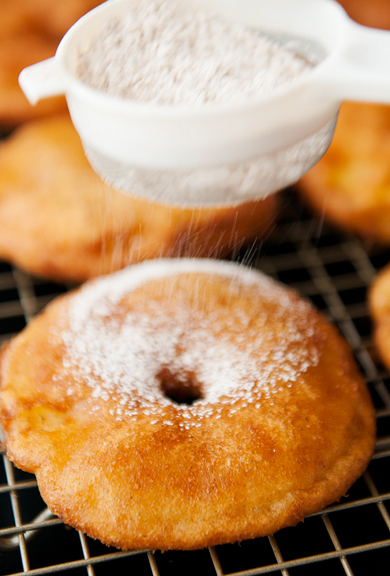 Dip each apple ring into the batter to coat, then let any excess drip off before carefully placing it in the hot oil. Don’t crowd the fritters in the oil! When the bottoms turn a deep golden color, use tongs or chopsticks to flip the fritters over. Let the other side turn deep golden and remove from the oil to the cooling rack or paper towels. Repeat until done (store the cooked fritters in the oven if you like). 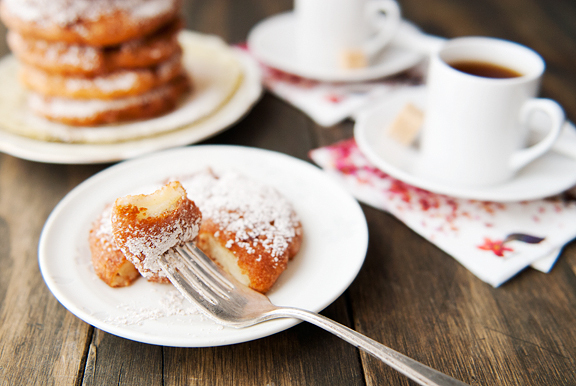 Sift the cinnamon and powdered sugar together and dust the fritters with the cinnamon powdered sugar. Serve hot and serve immediately. Makes 12 (approximately). Thank you for sharing this! This would be perfect to make for friends and family… I can’t wait to make this! I always love your recipes, pictures, and stories! But since I am actually one of first few to be able to comment, I thought I’d take this chance to ask why did you pick that particular beer? And what do you think of using like Apple Cider, the hard stuff, instead? Amazing! Love that this is both kid and adult-friendly! Delicious and one of the reasons I love the fall!!!! Congrats to Deb and Cathy. I am soooo jealous! I might have to console myself with these apple fritters. I want one right now. How nice that Kaweah was so glad to see you. This is such a fun idea! Yum! Congratulations to Cathy and Deb! I feel like a winner, too, thanks to the sweet photo(s) of Miss K.
This recipe has WINNER written all over it. The idea of keeping the slice whole rather than chopping it into bits is a sure act of genius. Girl, you KNOW how much I love apple fritters; you’ve witnessed it. Thanks for this terrific post. Oh, that Kaweah just breaks my heart with cuteness. I will be making these fritters asap! It’s like apple doughnuts! The Chinese take-out place around the corner always tucks an apple fritter like this into our bag with a wink while we’re checking out and it’s my favorite thing. Now I’ll have to make it at home! Kaweah is such a total sweetheart. Don’t you just love the star pattern of the seeds when you cut an apple that way? It’s like a little surprise secret waiting inside. Congrats on making it home! 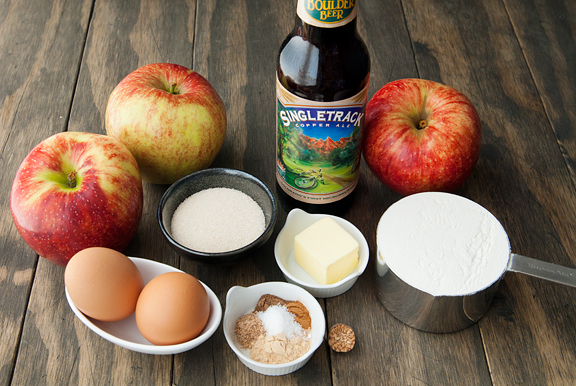 These look delicious — I don’t think I would have considered beer-battering the apples for fritters, but I am strongly tempted to incorporate this into our end-of-summer party menu for Saturday. Thanks! That dog makes me smiles. I love Kaweah, she makes me smile. Apple fritters look yummy. Thanks! I cannot wait to eat some of these apple fritters with a mug of hot mulled apple cider. Apple fritters sound delicious. Last weekend we picked up some beautiful Jonagold apples from the market and I made a brown butter and vanilla bean galette. Yum. 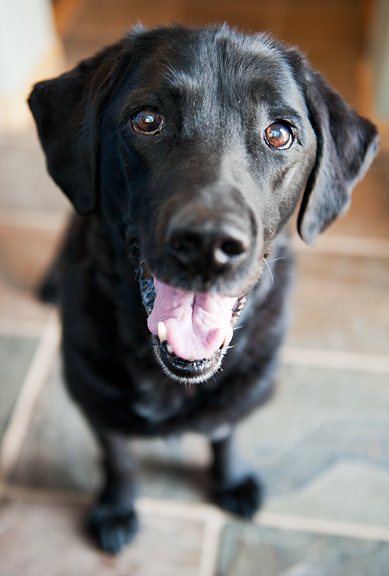 Don’t you just love labs? What a lovely idea! Great presentation. I’ve never considered battering as opposed to the classic form. Andrea – Oh, no reason. I know NOTHING about beer :) I just picked something local. I wondered about using a hard cider instead, but wasn’t sure it would have enough bubble action to make a nice batter (I think the beer is for the foaminess). 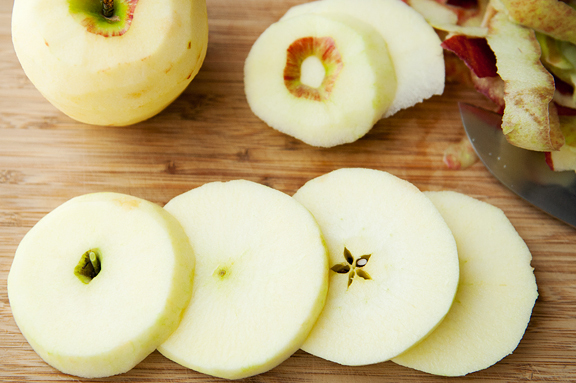 Julia – if you have lots of apples, it’s definitely worth a shot. Meghan – she’s a good pup! Fred – hope you enjoy them as much as we did. Margie – not my genius! My friend served them this way in his restaurant and we were hooooooked. Diane – wow, I’ve never had this in Chinese restaurants! Pretty cool. Barb – yes, I agree. I love apples in cross-section. So pretty. Amanda – sounds like a great idea for an end-of-summer party. Nicole – mmm, I love apple cider too. Great combo. That person is just lame. It is getting cold up here in the mountains, in fact we had some snow on our lovelies. The Peaks, and Mt. Elden. Winter is beckoning, and this recipe will help me face it. blessings, great website. ducksandbooks – thanks, I’ll get to that when I have the time. I have never seen apple fritters and this look so cool! I have some oil leftover from deep-frying Taiwanese salt and pepper chicken and there are also a few rose apples in the fridge. Just right! I just made these apple fritters for my husband for Valentine’s Day. They were SCRUMPTIOUS! I used Granny Smith apples because they are his favorite. The batter is absolutely to die for. Thank you SO much for posting this recipe! Here’s to hoping that those delectable fritters get me some diamonds this Valentine’s Day! Hello! I just saw these apple fritters from pinterest. I’ve never made them but they look delicious and not as fattening as I would have imagined! I hope you do not mind if I reblog on my website? :) I will link back to you! This looks like a wonderful fall treat, I can hardly wait til the air starts to crisp and the time is right to try it. You have a lovely blog, I’m looking forward to reading more!